Chances are you have equipment in your racks that you can connect to with the RS-232 protocol. System processors and video scalers are probably the two most likely. Last week I spent some quality time in monitor world tweaking our processors, Klark 9848s. The 9848 is a good processor and has a nice display window on the front panel to adjust every parameter. However, there are hundreds of them and going through the menu would have made my 6-hour job a 20-hour job. 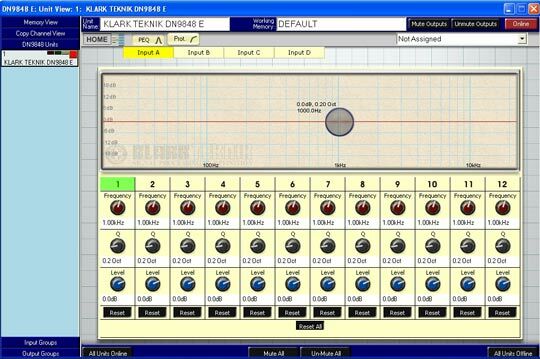 Thankfully, Klark has some decent Windows-based control software that lets me adjust everything using a GUI. The trick is, the original 9848 only connects via RS-232 (newer models use Ethernet, which if you’re listening manufacturers, is the only way to go today!). So how do I hook up my MacBook Pro running XP in Parallels to the 9848? 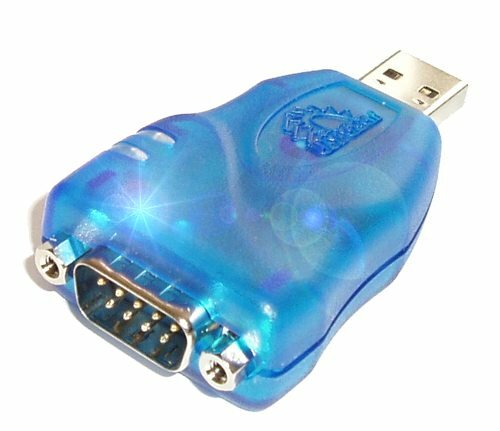 Enter the USB—RS-232 adapter. I bought this for $20 at CoolGear. It’s a simple device that works with a driver to create an additional COM port for your PC (or virtual PC). Once installed and connected, you can select COM 3 (in my case) and talk to any RS-232 or RS-485 device, as long as you have the right cable. RS-232 usually uses a 9-pin DIN connector, though some, like the Klark use a mini-DIN round connector. Using RS-232 can be a bit tricky and you may need to adjust some parameters to get everything working. Unlike modern serial protocols like USB the ancient RS-232—it was introduced in 1962—is not auto-configuring. Both devices must be speaking the same language. In this case, you need to adjust bitrate, stopbits, parity, echo and a few others depending on the device. It’s not terribly hard, though it may take a try or two to get it working. Still, it’s worth the hassle. It’s much easier to use the GUI for a system processor that lets you see the EQ curve, adjust parameter with the mouse and keyboard and save and restore presets than it is twirling knobs on a front panel. And you may find you can do some really cool stuff with that equipment that you didn’t know about to boot!